Classical music in the UK developed under the influence of European music yet retained some of its distinctively insular elements. Each of the major nations in the British Isles had its own forms of music and instrumentation which developed into distinctively classical music during the Baroque era in the 17th century. 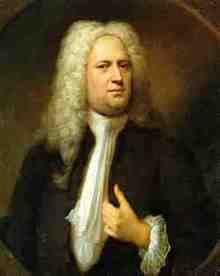 The most dominant composer of the Baroque era and beyond was the George Frideric Handel (1685-1759) who had a major influence on later composers both in Britain and overseas. One of the most important gains for classical music in the UK in the early 19th century was the foundation of the London Philharmonic Society which had a major influence on future development of classical music in Britain. Shortly after its foundation in 1813, the Society’s orchestra began performing concertos of international calibre and commissioned works by many prominent composers of the time including Felix Mendelssohn. By the mid-19th century, the Society’s concertos were conducted by distinguished composers and conductors such as Hector Berlioz, Richard Wagner, Arthur Sullivan and Pyotr Ilyich Tchaikovsky. The establishment of the Royal Academy of Music in 1822 was another important event in history of classical music in the UK. Its first principal became Dr William Crotch, while the first tutor of piano was Cipriani Potter who is also known to be the first Londoner to perform Mozart and Beethoven concertos. He also wrote 9 symphonies and 4 piano concertos of his own. 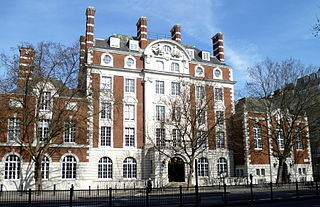 The Royal Academy of Music was in the late 19th century joined by the Guildhall School of Music and the Royal College of Music. The 19th century classical music in the UK was also marked by a shift from international classical music. This century also saw the revival of English language opera as well as introduction of larger orchestras and larger venues that could receive larger audience. The most notable venues of the era were the Crystal Palace that began holding concerts in the 1850s, the Convent Garden’s Royal Opera House and the Royal Albert Hall. Orchestras that trace their beginnings to the 19th century include the Royal Liverpool Philharmonic Orchestra, the Halle Orchestra and the Scottish Orchestra (today’s Royal Scottish National Orchestra). British composers of the 20th century played an important role in the development of new classical genres. Some of the most outstanding British classical composers of the 20th century include William Walton, Benjamin Britten, Gustav Holst, Edward Elgar and Ralph Vaughan Williams. Notable contemporary British composers include Julian Anderson, Peter Maxwell Davies, Thomas Ades, James MacMillan, George Benjamin, Harrison Birtwistle and Andrew Lloyd Webber.